HGTV's Smart Home 2016 Sweepstakes In Raleigh, NC! HGTV’s Smart Home 2016 Sweepstakes In Raleigh, NC! The Raleigh home that HGTV will be giving away in its Smart Home 2016 Sweepstakes is located at 7421 Haywood Oaks Drive in the Haywood neighborhood in west Raleigh. The home helps tell a story about Raleigh, as well as helps HGTV deliver on the technology and designs that go into a smart home. 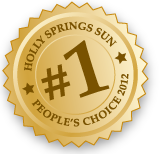 While the home’s construction is being featured on HGTV’s website, the house is already complete. A sign marking it as a “Private Residence” (probably to discourage curious onlookers from trespassing) is in front of the house on the quiet street, lined with other completed homes. Homes in the Haywood neighborhood are being marketed as starting from the $690,000s. 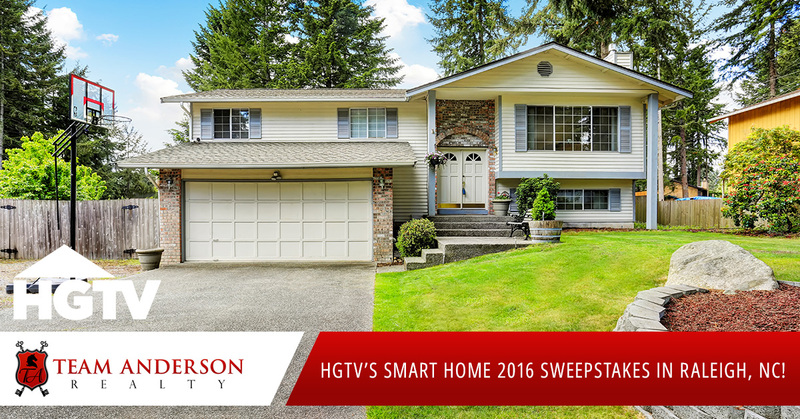 Visitors to the HGTV 2016 Smart Home sweepstakes website can enter twice daily beginning April 12. 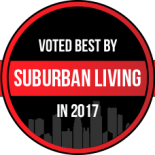 If you are looking to move to the Raleigh, NC area and don’t win this Smart Home, Team Anderson Realty, located in Holly Springs, NC, has a team of buyer’s agents that are ready to help you find your next home. If you are looking to move to the Holly Springs/Raleigh/Triangle area in North Carolina, visit our website to start your free home search or call Team Anderson Realty today at 919-610-5126. 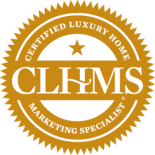 If you need to sell your home before you can buy a home, call Erica Anderson to learn about our marketing strategies that will get your home sold!